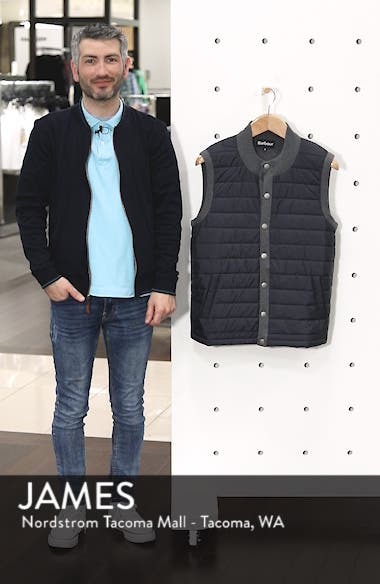 Panels of mixed-knit cotton and baffle-quilted nylon form a handsome snap-front layering vest framed with an elevated mock collar and roomy front pockets. Choose a sizeTrue to size. The Tailored fit from Barbour is considered a Regular fit; cut with a little extra room through the chest and body for comfort.